Adolescents who worship at least weekly are the least likely to run away from home. According to the National Longitudinal Study of Health, Waves I and II, six percent of students in Grades 7-12 who worship at least weekly have run away from home. By contrast, 12 percent of students who never worship have run away from home. In between are those who worship one to three times a month (7.3 percent) and those who worship less than once a month (10.3 percent). Several studies corroborate these findings. Mark Regnerus of the University of Texas at Austin and Glen Elder of the University of North Carolina at Chapel Hill reported that low church attendance was an effective identifier of adolescent delinquency. Wendy Manning and Kathleen Lamb of Bowling GreenStateUniversityalso found that adolescents who were more religious were less likely to exhibit delinquency. The more often adolescents run to religious services, the less likely they are to run away from home. This chart draws on a large national sample (16,000) from the National Longitudinal Study of Adolescent Health. This work was done by the author in cooperation with former colleagues at The Heritage Foundation, Washington, D.C.
 Mark D. Regnerus and Glen H. Elder, “Religion and Vulnerability among Low-Risk Adolescents,” Social Science Research, vol. 32 (2003): 633-658. The delinquency measures included running away from home. Wendy D. Manning and Kathleen A. Lamb, “Adolescent Well-Being in Cohabiting, Married, and Single-Parent Families,” Journal of Marriage and Family, vol. 65 (2003): 876-893. The delinquency measures included running away from home. Adolescents who live in an intact married family are the least likely to run away from home. According to the National Longitudinal Study of Adolescent Health, Waves I and II, six percent of students in Grades 7-12 who live with their married, biological parents have run away from home. By contrast, 12 percent of adolescents who live with a stepparent have run away from home. 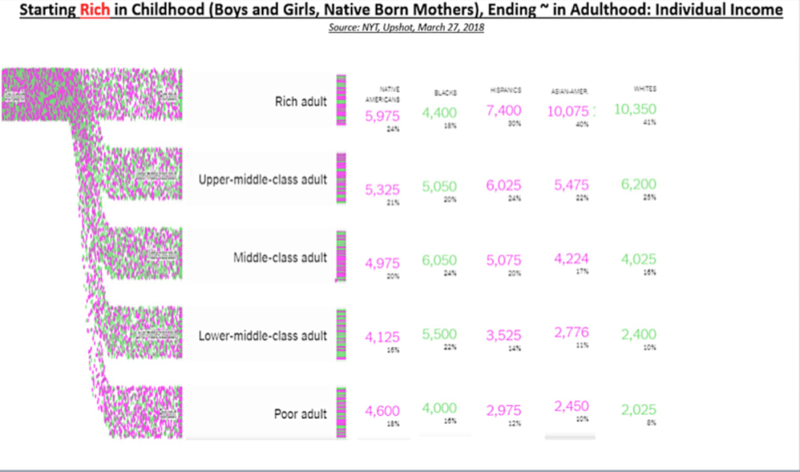 In between are those who live with two biological cohabiting parents (8.6 percent), those whose parents are divorced (10.5 percent), those who live with one biological cohabiting parent (10.9 percent), and those who live with a single, never-married parent (11.1 percent). Having analyzed a data sample of children from the Canadian province of Ontario, Christopher Kierkus of the State University of New York at Albany and Douglas Baer of University of Victoria reported that school children who lived with both biological parents were much less likely to run away than, in increasing probability, those living with a single parent, those living with a step-parent, and those living with neither biological parent. When it comes to keeping adolescents at home, the intact married family is most effective. Rebecca Polly Sanchez, et al., “Who Runs? 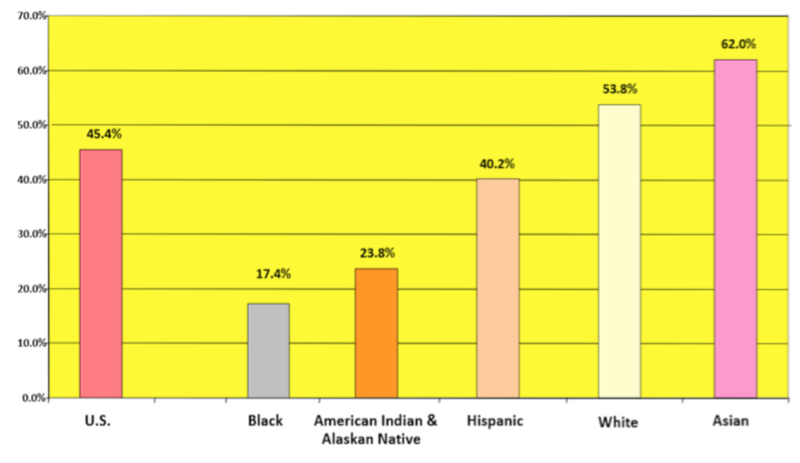 A Demographic Profile of Runaway Youth in the United States,” Journal of Adolescent Health, vol. 39 (2006): 778-781. Christopher A. Kierkus and Douglas Baer, “A Social Control Explanation of the Relationship between Family Structure and Delinquent Behavior,” Canadian Journal of Criminology, vol. 44 (2002): 425-458. H. Elaine Rodney and Robert Mupier, “Behavioral Differences between African American Male Adolescents with Biological Fathers and Those without Biological Fathers,” Journal of Black Studies, vol. 30 (1999): 45-61. Adolescents from intact families who worship frequently are the least likely to run away. This chart depicts the percentage of adolescents in Grades 7-12 who have ever run away, correlated with religious attendance and family structure. Only five percent of adolescents who live with both biological parents and worship at least monthly have ever run away. By contrast, more than 13 percent of adolescents who worship less than monthly and come from single-parent or reconstituted families have run away. 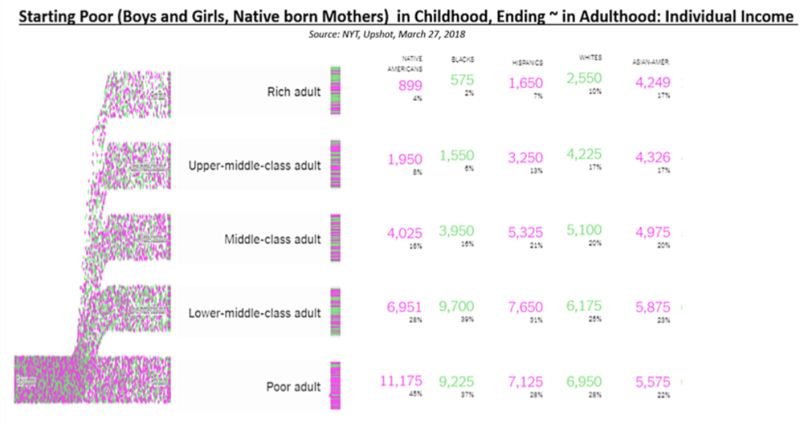 In between are those in non-intact families who worship at least monthly (8.5 percent) and those who live with both biological parents and worship less than monthly (8.1 percent). The data are taken from the National Longitudinal Study of Adolescent Health, Waves I and II. As the evidence indicates, religious attendance and the intact married family are a powerful tandem of effective guardians against runaway adolescents. Lela Renee’ McKnight and Ann Booker Loper, “The Effect of Risk and Resilience Factors on the Prediction of Delinquency in Adolescent Girls,” School Psychology International, vol. 23 (2002): 186-198. The delinquency measures included running away from home. This chart is taken from a study conducted by Nicholas Zill, Ph.D. for Family Research Council. Parents whose children attend worship at least weekly report less parenting stress than those parents whose children attend worship less frequently. According to the National Survey of Children’s Health, parents whose children attend religious services at least weekly score lower on the parenting stress scale (49.8) than those who worship less than once a month (50.8). In between are those who worship one to three times a month (50.5) and those who never attend religious services (50). Though little work has been done on the connection between children’s religious attendance and parenting stress, several other studies support a positive correlation between religious attendance and stress relief. David Schlundt of Vanderbilt University and colleagues reported a significant correlation between religious attendance and better mental health. In an analysis of the Canadian Community Health Survey, Marilyn Baetz of the University of Saskatchewan and colleagues found that frequent religious attendance is associated with lower lifetime depression and fewer psychiatric disorders. As the data indicate, parents of families that frequently attend religious services are least likely to be stressed. Nicholas Zill is a research psychologist and consultant. Until his recent retirement, he was a vice president of Westat Inc. He was the founder of Child Trends and its executive director for 13 years. This chart draws on data collected by the National Center for Health Statistics in the National Survey of Children’s Health (NSCH) in 2003. The data sample consisted of parents of 102,353 children and teens in all 50 states and the District of Columbia. 68,996 of these children and teens were between six and 17 years old, the age group that was the focus of the study. The survey sample in this age range represented a population of nearly 49 million young people nationwide. David Schlundt, et al., “Religious Affiliation, Health Behaviors and Outcomes: Nashville REACH 2010,” America Journal of Health Behavior, vol. 32 (2008): 714-724. Marilyn Baetz, et al., “How Spiritual Values and Worship Attendance Relate to Psychiatric Disorders in the Canadian Population,” Canadian Journal of Psychiatry, vol. 51 (2006): 654-661. Alexander Moreira-Almeida, et al., “Religiousness and Mental Health: A Review,” Revista Brasileira de Psiquiatria, vol. 28 (2006): 242-250. Marc A. Musick, et al., “Attendance at Religious Services and Mortality in a National Sample,” Journal of Health and Social Behavior, vol. 45 (2004): 198-213. Biological parents and adoptive parents who live together report less parenting stress than those who do not live together. According to the National Survey of Children’s Health, biological parents and adoptive parents who live together report less parenting stress (48.9) than single mothers (52.1). In between are parents who live within another family structure (50.6) and biological parent/stepparent families (52.0). Several other studies corroborate the direction of these findings. Paul Amato of the Pennsylvania State University reported that “adults and children from divorced families, as a group, score lower than their counterparts in married-couple families on a variety of indicators of well-being,” including happiness, self-conceptions, and psychological distress. John Cairney of the University of Toronto and colleagues also found that single mothers reported “higher levels of chronic stress” than married mothers did. Rukmalie Jayakody and Dawn Stauffer of the Pennsylvania State University found that, compared to married mothers, single mothers exhibit a significantly higher rate of psychiatric disorders, the most common being depression. As the evidence shows, biological parents who live together are less stressed and much healthier than their single and divorced counterparts. Categories covered under “other” include children with father only, foster parent, and children living with grandparent or other relatives. 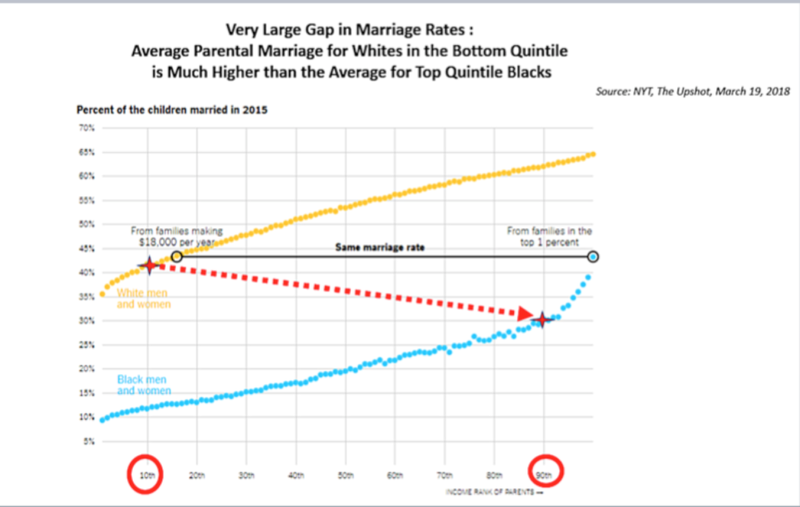 Most of the parents in the “biological parent and a stepparent” category are married. Paul R. Amato, “The Consequence of Divorce for Adults and Children,” Journal of Marriage and the Family, vol. 62 (2000): 1269-1287. John Cairney, et al., “Stress, Social Support, and Depression in Single and Married Mothers,” Social Psychiatry and Psychiatric Epidemiology, vol. 38 (2003): 442-449. Rukmalie Jayakody and Dawn Stauffer, “Mental Health Problems among Single Mothers: Implications for Work and Welfare Reform,” Journal of Social Issues, vol. 56 (2000): 617-634. Parents whose children attend worship at least weekly are less likely to be contacted by their children’s school about behavior problems than parents whose children worship less frequently. According to the National Survey of Children’s Health, only 24.6 percent of children who worship at least weekly are the object of their school reporting behavior problems to parents, whereas 41.7 percent of children who never worship are the object of their school reporting behavior problems to parents. In between are children who worship one to three times a month (31.4 percent) and children who attend religious services less than once a month (31.9 percent). Several other studies corroborate the direction of these findings. Christian Smith and Robert Faris of the University of North Carolina at Chapel Hill reported that 77 percent of 12th grade students who attended religious services weekly or more had never been sent to the principal’s office or been detained after school for misbehavior in the year prior to being asked, compared to 67 percent of 12th grade students who never attended religious services. Smith and Faris also found that high school seniors who attended religious services weekly or more were less likely to have hit a teacher or been involved in a fight in the year prior to being asked. Examining religion and delinquency data in the National Education Longitudinal Study, Jerry Trusty of Texas A&M University and Richard Watts of Baylor University found that 12th grade students who frequently attended religious activities were less likely to exhibit delinquent behavior than those who did not attend religious activities frequently. As the evidence indicates, children who frequently attend religious services or activities are less likely to exhibit behavior problems at school that cause teachers or administrators to contact their parents. Christian Smith and Robert Faris, Religion and American Adolescent Delinquency, Risk Behaviors and Constructive Social Activities (Chapel Hill, N.C.: National Study of Youth and Religion, 2002): 38-39. The delinquency data included school suspensions, arrests, and time spent in juvenile centers. Jerry Trusty and Richard E. Watts, “Relationship of High School Seniors’ Religious Perceptions and Behavior to Educational, Career, and Leisure Variables,” Counseling and Values, vol. 44 (1999): 30-40. Parents of children who attend worship frequently and live in intact families are the least likely to be contacted by their children’s school about behavior problems. This chart depicts the percentage of children aged 6 to 17 whose parents have been contacted by their children’s school concerning behavior problems, correlated with religious attendance and family structure. Only 21 percent of children who worship frequently and live with both biological parents or with two adoptive parents are the object of their school reporting behavior problems to parents, compared to a much larger 53 percent of children who worship less than monthly and live in single-parent or reconstituted families. In between are those who live in intact families and worship less than monthly (25 percent) and those who live in non-intact families who worship at least monthly (33 percent). The data are taken from the National Survey of Children’s Health. Several other studies corroborate the direction of these findings. Byron Johnson of Baylor University and colleagues examined delinquency data from the National Youth Survey, which included measures such as “hit students,” “hit teacher,” “damaged school property,” and “skipped classes.” They reported that adolescent religiosity corresponded to fewer instances of delinquency and that adolescents who lived in intact families were less likely to acquire delinquent friends. When it comes to having well-behaved children at school, the intact family that worships frequently proves to be the leader. Byron R. Johnson, et al., “Does Adolescent Religious Commitment Matter? A Reexamination of the Effects of Religiosity on Delinquency,” Journal of Research in Crime and Delinquency, vol. 38 (2001): 22-44. John P. Bartkowski, et al., “Religion and Child Development: Evidence from the Early Childhood Longitudinal Study,” Social Science Research, vol. 37 (2008): 18-36. Visiting Fellow Althea Nagai provided the data for this chart. Adults who frequently attended religious services as adolescents are less likely ever to be divorced or separated than those who did not. According to the General Social Surveys (GSS), 17.4 percent of adults who worshiped at least monthly as adolescents have been divorced or separated, compared to 21.4 percent of adults who worshiped less frequently. Several other studies analyzing the association of contemporaneous religious attendance with marital stability corroborate the direction of these findings. Vaughn Call and Tim Heaton of Brigham Young University reported that compared to other religious elements such as affiliation or strength of beliefs, “attendance has the greatest impact on marital stability.” Couples who attend church together weekly have a lower risk of divorce than those who worship less frequently. As the evidence indicates, frequent religious attendance, in adolescence and adulthood, reduces the odds of divorce or separation. Patrick F. Fagan, Ph.D. & Althea Nagai, Ph.D.
 Vaughn R. A. Call and Tim B. Heaton, “Religious Influence on Marital Stability,” Journal for the Scientific Study of Religion, vol. 36 (1997): 382-392. John Wilson and Marc Musick, “Religion and Marital Dependency,” Journal for the Scientific Study of Religion, vol. 35 (1996): 30-40. Timothy T. Clydesdale, “Family Behaviors among Early U.S. Baby Boomers: Exploring the Effects of Religion and Income Change, 1965-1982,” Social Forces, vol. 76 (1997): 605-635. Adults who grew up living with both biological parents are less likely ever to be divorced or separated than those who did not. According to the General Social Surveys (GSS), 18 percent of adults who lived in an intact family have ever been divorced or separated, compared to 28 percent of those who lived in a non-intact family. As the data show, brokenness often begets brokenness in American families. Paul R. Amato, “Explaining the Intergenerational Transmission of Divorce,” Journal of Marriage and the Family, vol. 58 (1996): 628-640. Pamela S. Webster, et al., “Effects of Childhood Family Background on Adult Marital Quality and Perceived Stability,” American Journal of Sociology, vol. 101 (1995): 404-432.